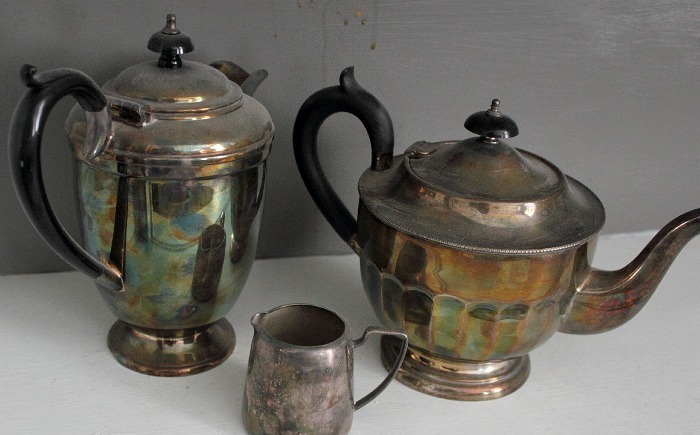 Before we start, reader might be interested to read our simple section on English Silver history. 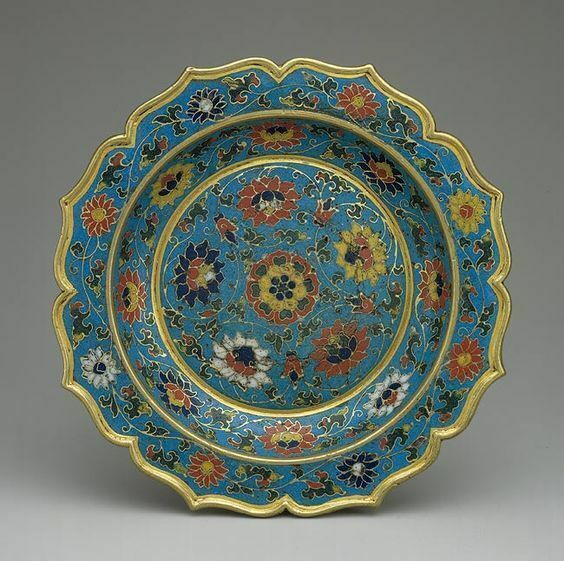 This identifies where the item was quality tested and assayed. 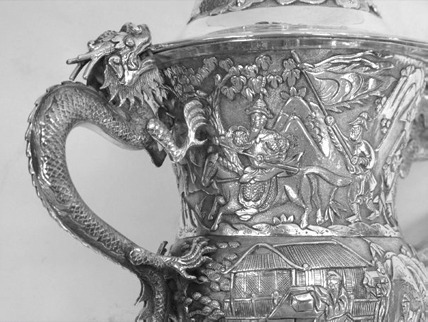 Provincial marking was also commonplace in the UK from the 16th century and enabled silversmiths to avoid making the long and often hazardous journey to a main assay centre. 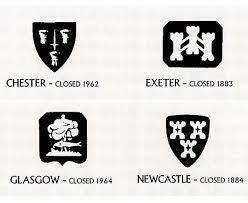 You may therefore come across pieces with, for instance, a hallmark from Exeter, Chester, York, Glasgow or Guernsey. Today, however, the assay offices open for silver hallmarking are London, Birmingham, Sheffield, Edinburgh, and Dublin and their respective marks can be seen here. 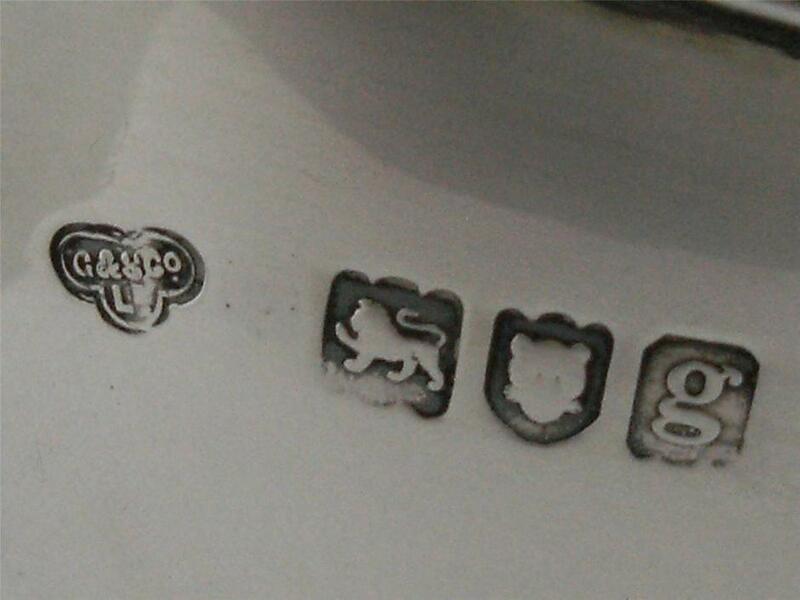 An alphabet cycle was implemented into the antique silver hallmarking system in 1478 with each cycle differentiated by changing font styles and shield shapes. 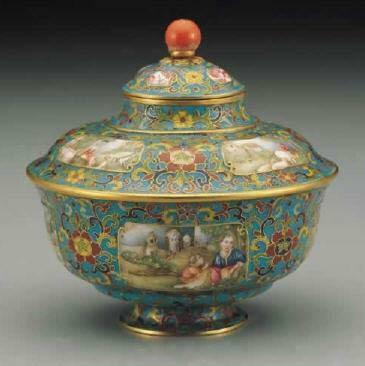 This system continued without a break until 1697 when a new cycle was started called the Britannia Standard (.958). In 1975, a new hallmarking act was passed leading to a much more simplified system starting January 1st each year and when all the date letters in each assay office change. 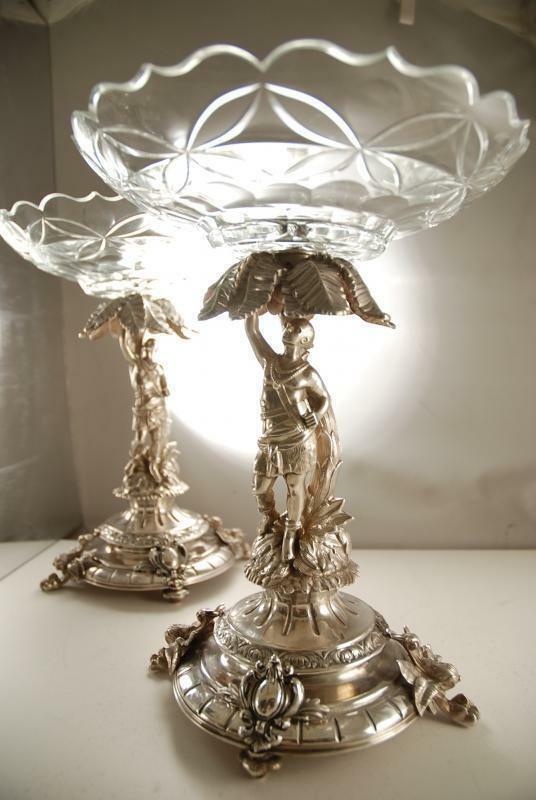 Antique Silver marks were first used in England in the 14th century and the story is that around 1408 a silversmith called Philip Stubbs complained of the widespread use, by unscrupulous silversmiths, of refuse metal that was alloyed with silver to make the metal tougher and more malleable, but obviously decreased the amount of pure silver in a piece and was cheaper than the actual silver. 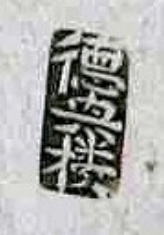 A Statute of 1363 ordained that every master goldsmith (or silversmith) should have his own mark. This mark would betray any spoon maker producing articles made from sub-standard metal. Initially, due to poor levels of literacy, each smith was identified by a symbol, e.g. 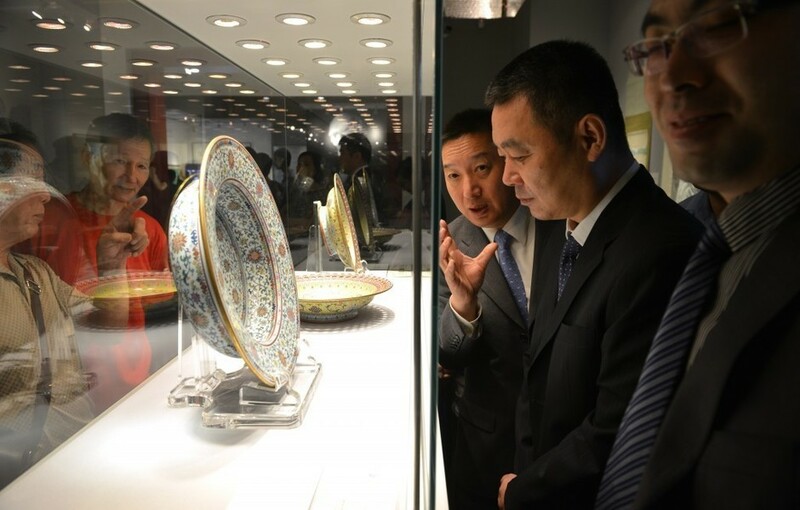 flower petals, bellows and crowns. 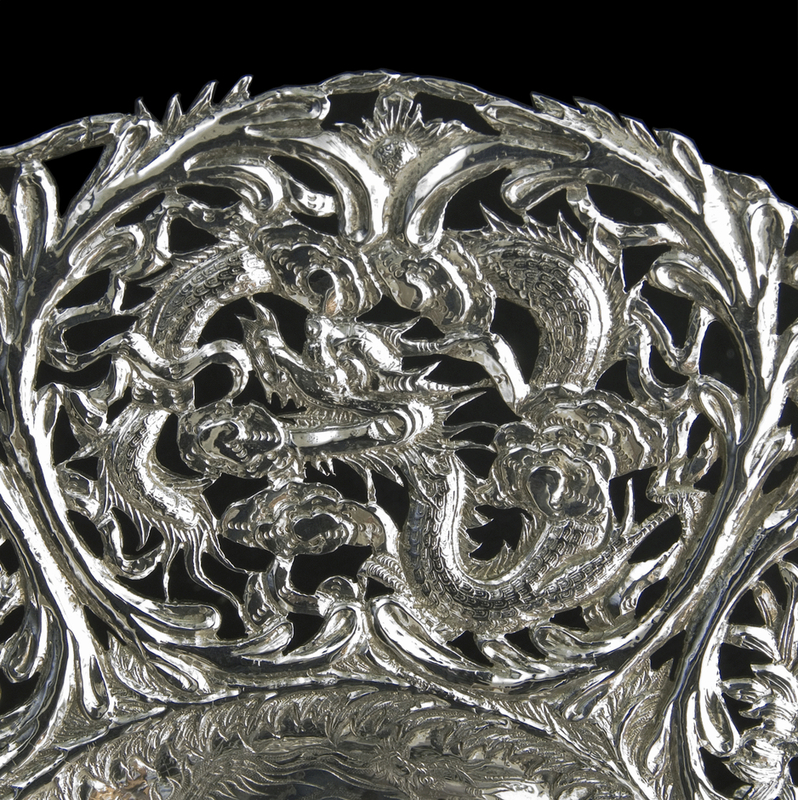 The initials of the silversmith began to replace symbols in the 17th century, although the practice of including a symbol amongst the letters continued well into the next century. 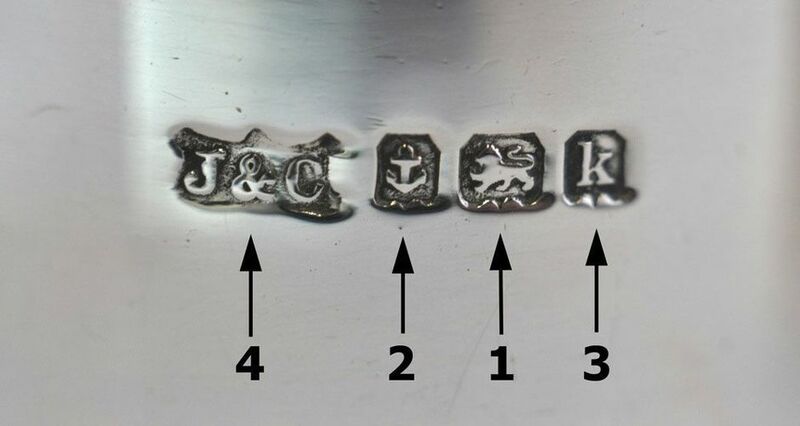 The statute of 1697 which raised the standard of plate silver to Britannia quality also changed makers' marks to the first two letters of his surname. 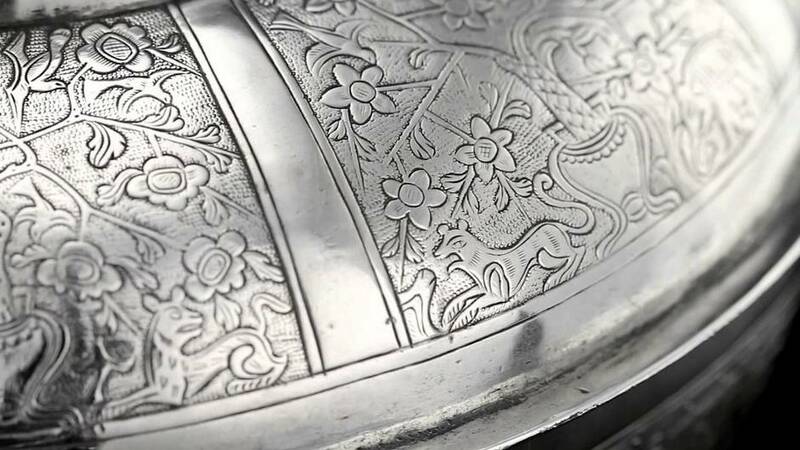 The restoration of Sterling standard in 1719 re-introduced the silversmiths initials as a form of marking. 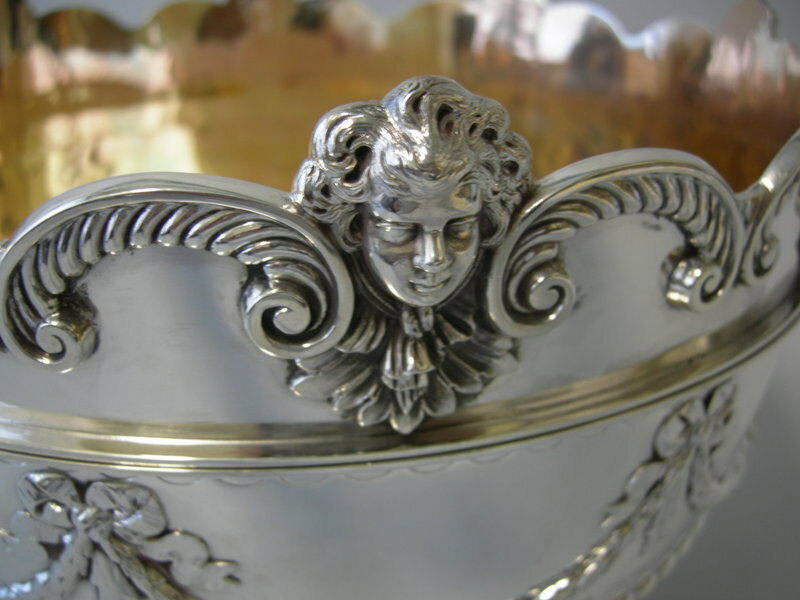 Please refer to our Directory for English Silversmith Marks for different Assay Office. 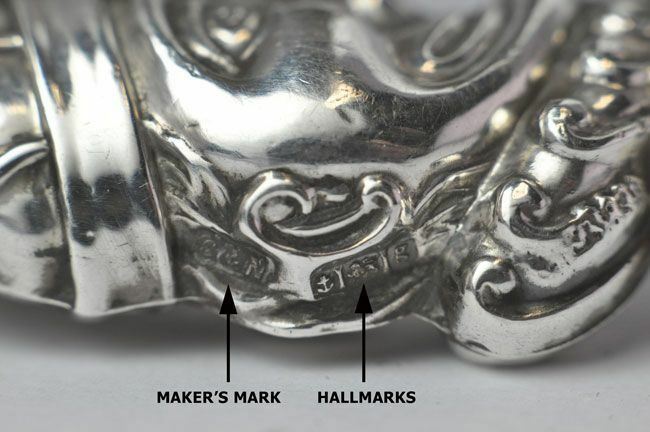 It will be noted that the mark most often in good condition on bottom-struck spoons is the maker's mark. Over-polishing can rub the hallmarks, but because the standard position, on bottom-struck spoons, of the makers mark is nearest the bowl, it is protected during the sweep of a polishing stroke by the bowl. The opposite is true for top-marked spoons. The maker's mark is most often rubbed. There are a number of reasons for this; worn out punches, the mark was not stamped deeply enough, or its position (usually nearest the terminal) making it the most vulnerable to over-polishing.